Your dream sanctuary in the mountains, while still close to work! 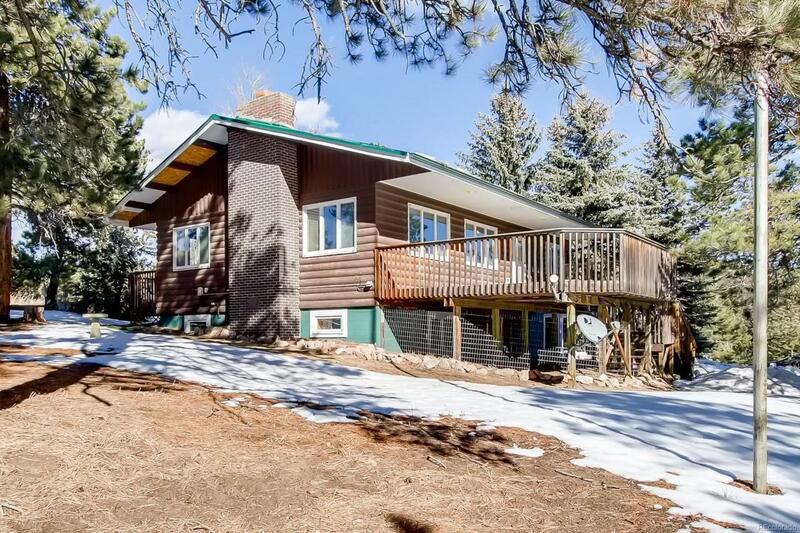 Completely remodeled secluded home on 1.05 acres in the Colorado Front Range's last secret escape, Coal Creek Canyon. The main floor features a renovated kitchen with Bolivian cherry hardwoods, 2 bedrooms and an updated bathroom. Mountain views pour into the large living room through plenty of windows. A traditional stone fireplace is the cozy centerpiece of the upstairs. Five kW of solar panels on the roof, piped-in natural gas and a nearly new high efficiency furnace keep bills affordable.The lower level hosts a beautiful master bedroom, with new private bath with heated floors and walk-in closet. A family room with walk out access, a convenient laundry room with new W&D and another partial kitchen completes the downstairs. Supplement your mortgage with a possible roommate or short term rental, made easy with the separate downstairs entrance.This is a rare flat lot with tons of sunshine, custom fire pit as well.